If you’ve been exploring these pages, you may now have a better understanding of what a priest is and does. If you have an idea in the back of your mind that you may be called to the priesthood, the best thing to do is take a positive step. 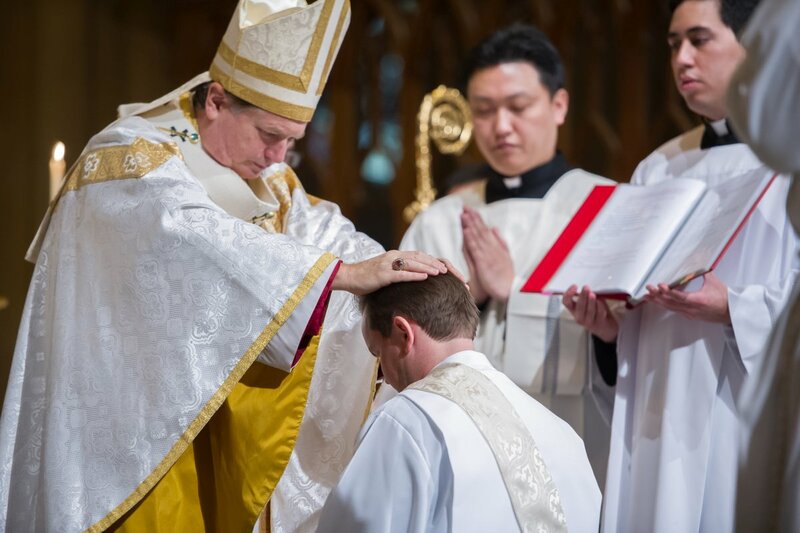 Testing a call to the priesthood requires discernment from both you and the Church. If you feel that you may be called to be a priest, the following steps may help you to gain clarity and direction in your choice. A good first step to take is to make contact with your Vocation Director. This doesn’t mean you’ll be signed up and thrown into the seminary. The role of the Vocation Director is to assist you and provide you with guidance and materials to help you discern effectively. This process may help you understand that you are not called to the priesthood. Cultivate a disciplined life of daily personal prayer. This will help you to listen to the voice of God in your life. Many find Eucharistic Adoration and praying with Scriptures a particularly helpful way to pray. Some find keeping a prayer journal helpful as it can help you to clarify and express your thoughts, aspirations and fears. Make an effort to attend Mass and Confession often. This will help you to keep on track as well as give you the grace and strength to act upon where you feel God may be calling you. Many people do this, for example, Pope Francis goes to Confession once a fortnight. If you haven’t already, find a spiritual director. Having wise spiritual counsel can help you to identify the movements of the Holy Spirit. It is also a way of evaluating your progress in your spiritual journey and remaining accountable to someone who you can trust. Take up some spiritual reading to nourish your faith and inspire you to live out your commitment to follow Christ. Make time for silence and solitude. A retreat often is a good opportunity for this.